Home › Flash › My babies alive! Initially built using AS2 but never launched in 2006 (due to time constraints i.e. doing real work), the domain that was supposed to showcase my wares remained as a coming soon page for nigh on 4 years. Finally the bullet was bitten in the latter part of 2009 and the decision to port the entire site to AS3 and utilise the Gaia framework was made. Within 4 weeks, a fully functional, SEO compliant, user accessible site was finished and launched. 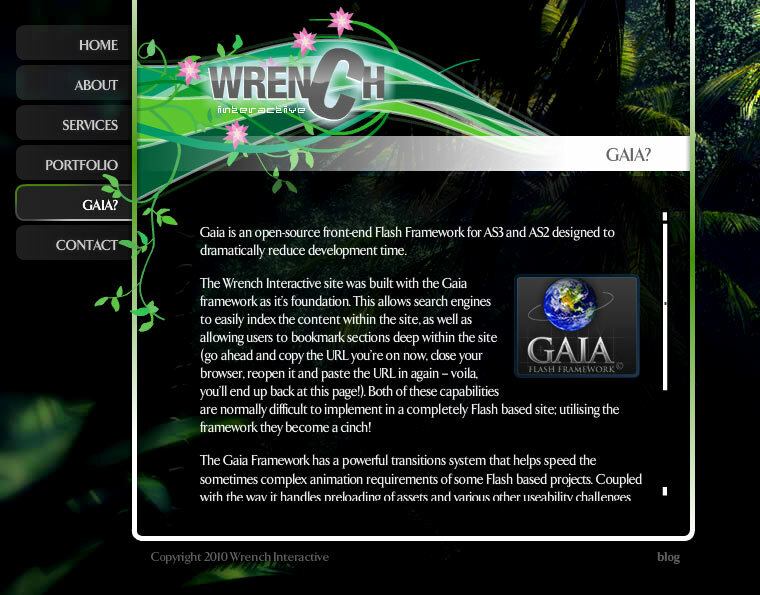 Kudos to Steven for the framework, rock on Gaia! 1 Pings/Trackbacks for "My babies alive!"